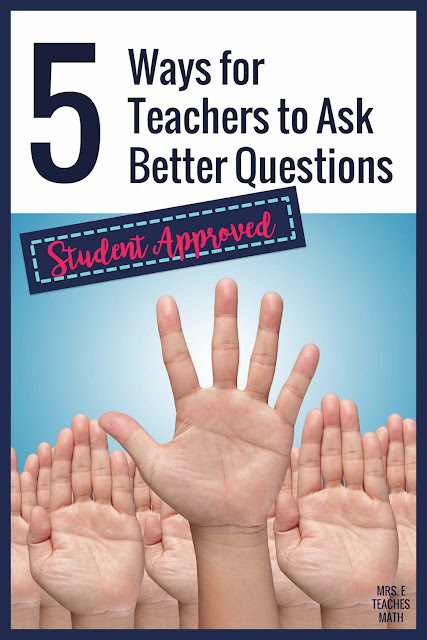 When I first started teaching, I would just ask my students questions like, “So, what is the answer to this problem?” I would also answer my own questions if my students didn’t answer quickly. Teacher fail. I didn’t know any better. I read lots of articles, blog posts, and observed other teachers. I’ve gotten much better. Today, I’m sharing my favorite tips. I use these strategies almost everyday and also use them in conjunction with each other. “Two angles are supplementary. The measure of one angle is 20 degrees less than 3 times the measure of the other. Find the measures of the two angles. This gives students that would make that mistake a no pressure way to see why the mistake is incorrect. Also, they benefit from hearing the explanation in the words of their classmates. 3. Ask for another way to work a problem. Once you have solved a problem in class, ask if the problem could have been solved a different way. Nine times out of ten, you will get an excellent answer. This strategy in particular gives me insight to how my students are thinking. Even if your students give you an incorrect answer, you have created a valuable teaching moment. 4. “Explain this to me like I’m not in this class.” I use this line all the time. Only write down exactly what your students tell you. They will quickly realize that they need to be very specific in their language. 5. Tell kids that “they’re out”. Often, when a few students are answering most of the questions, I tell them that “they’re out”. Every time a student answers a question, “they’re out”. As more and more students are “out”, I start saying, “Someone that’s not out, tell me…”. Once a large percentage of the class has spoken, I tell them that everyone is back in. I’ve never actually explained how this works to a class; I’ve never had to. They pick up on it very quickly, even my low performing classes. Do you use any of these strategies in your classes? What do you do that you think is particularly effective? I found this super annoying too! Sometimes, it takes me a little bit longer to process what people are saying. If someone else jumps in right away it is so distracting to me. It's one little way I use to increase wait time. For the "You're out! ", I usually say that I need to hear from someone different this time. I will say, "We have heard from Johnny and Sue, but we need to hear from others." Future new teacher here! 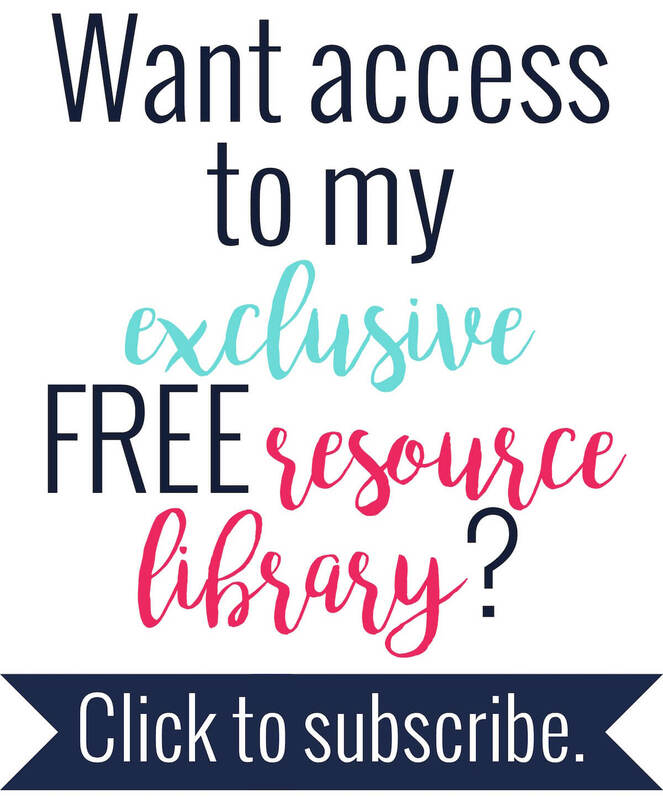 I'm currently working on my TX alternative certification for Math (7-12), and stumbled across your blog. It's been helpful to read your blog and get into the "in the classroom" mindset! For the "you're out" strategy do you find students that are out, kinda of check out of the lesson because they can't answer? Me: So to solve this equation, what should I do first? Me: Yes, add 5. Jimmy's out. Now, after I add the five, what should I do? Me: Jane's out. Divide by what? Me: John's out. If you divide by 7, what do you get? and so on... When I feel like enough people have talked, I put everyone back in. I love what you wrote about in the suggestions that you have given. My professional goal this year is titled the power of conversation in in math class room. So something else that I may also do to engage students, after we have some work written on the board or I have presented some material, is to say ask me a question. This really gets the students thinking as they tried to come up with a good question that could be answered. It gets them to extend they’re thinking, and sometimes they came up with the question that might not of been something that I thought of. I like the PHRASE , you’re out, :-). Thank you for sharing!